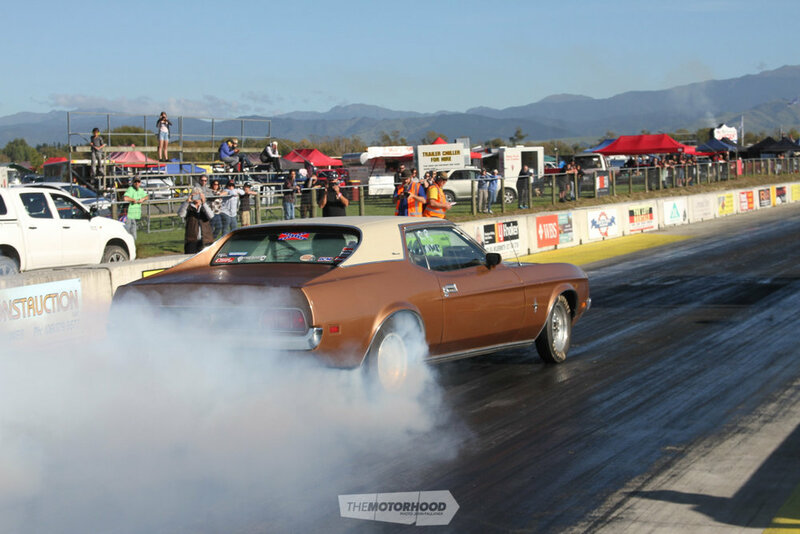 On April 8–9, Masterton Motorplex came alive to the sound and smell of horsepower for the annual Top Alcohol Challenge. A total of 123 vehicles were entered — a touch down on previous events, but still plenty to put on a great show. Although the weather forecast was looking good, and those arriving at the track were met with blue skies, this wasn’t how the day was to end. The rain fell around 2pm, bringing an early end to the day. However, even prior to that, no alcohol cars made a pass, and many of the faster cars had difficulties due to the cold track. Sunday dawned a new day — blue skies and sunshine — so things were looking up. Although a few racers hadn’t returned after Saturday, the spectators were still rolling through the gates. There were a few hold-ups during the day, but not due to oil downs or crashes. They were actually due to water getting into the timing beams down the track. 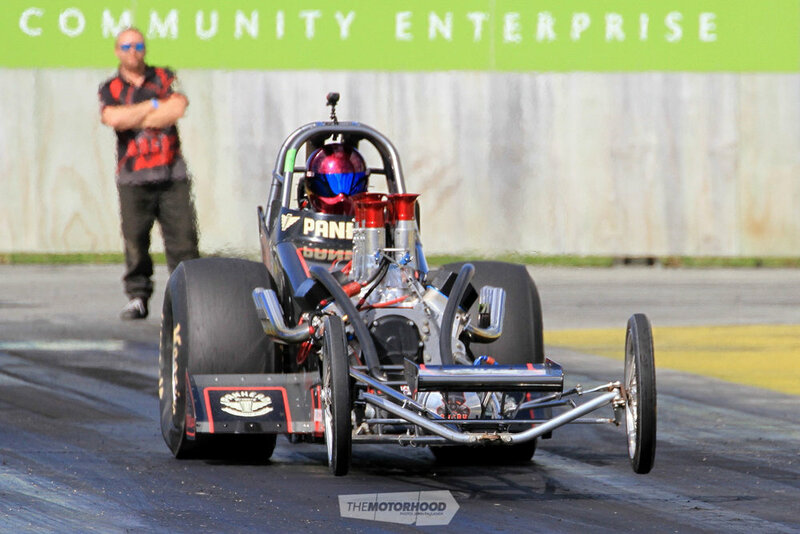 Wairarapa-local Dwayne Garrett was leading Top Alcohol with a 6.16 at 227.34mph charge. Not far behind was Bryan Norman, from way down south, with a 6.33 at 215mph, and third was Burt King with a 6.81 at 205mph. 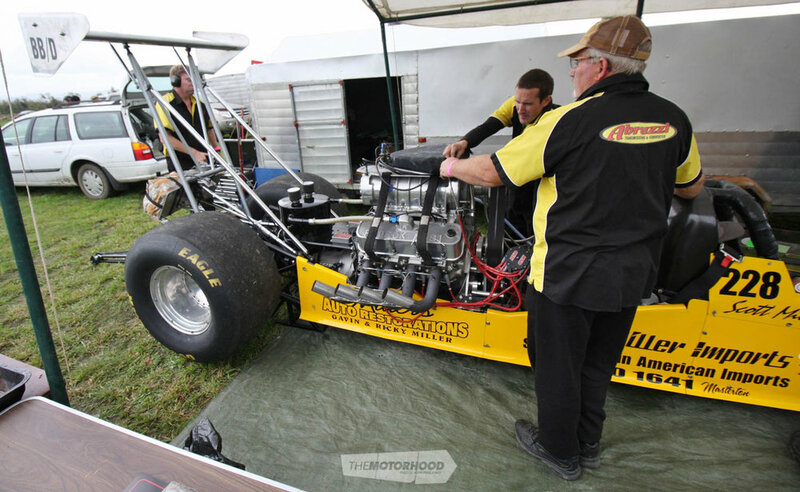 Scott Miller had engine problems with his as-yet-untested combination, and never made a pass. He wasn’t the only one with issues, though, as Burt King sustained valve-train problems, and Paul Davidson also sustained engine problems. 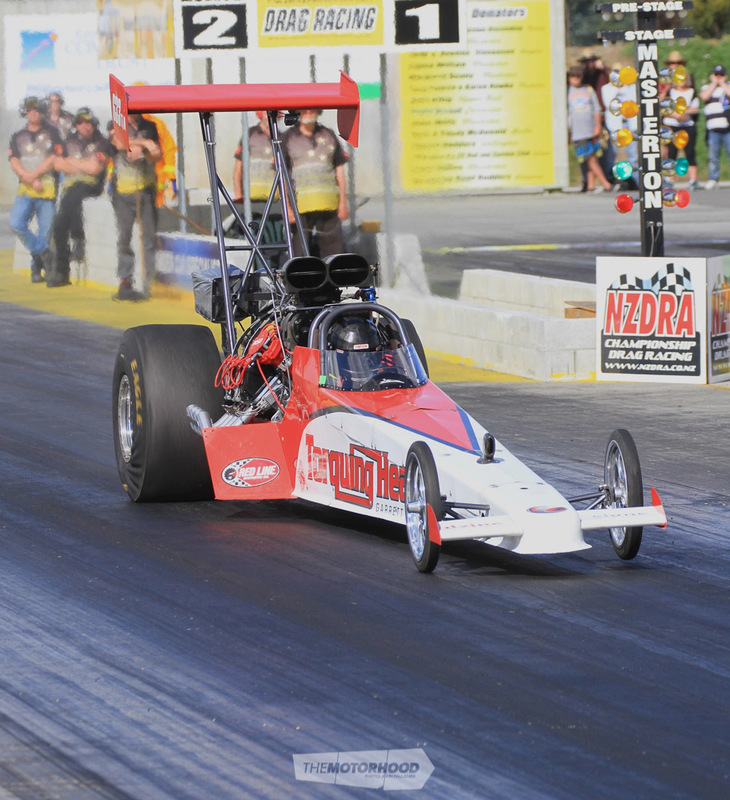 Bryan Norman, on the other hand, made it to the finals, winning with a 6.37 at 211.05mph over Dwayne Garrett. Competition class was equally as eventful, with Brent Riddic taking the win with a 8.40 at 132.63mph pass. Neil Morgan had his ‘Animal’ machine running hard with wheels-up launches — he managed to carry them quite a distance down the track. Super street racer Andy Smith has been around the drag strip for a long time, crewing for Euan Mark back in Thunder Park days. 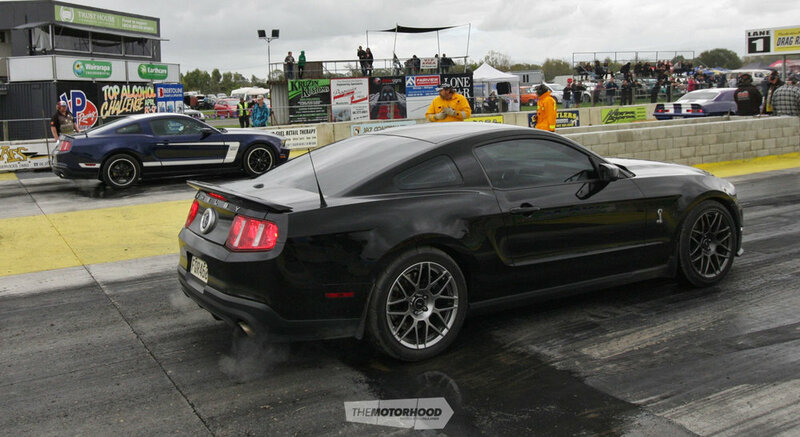 These days, his Mustang is knocking on the door of 10s with a string of low 11-second passes. Wayne Curry wasn't having the greatest day in his low-six-second Altered, seen here taking out the timing beams. 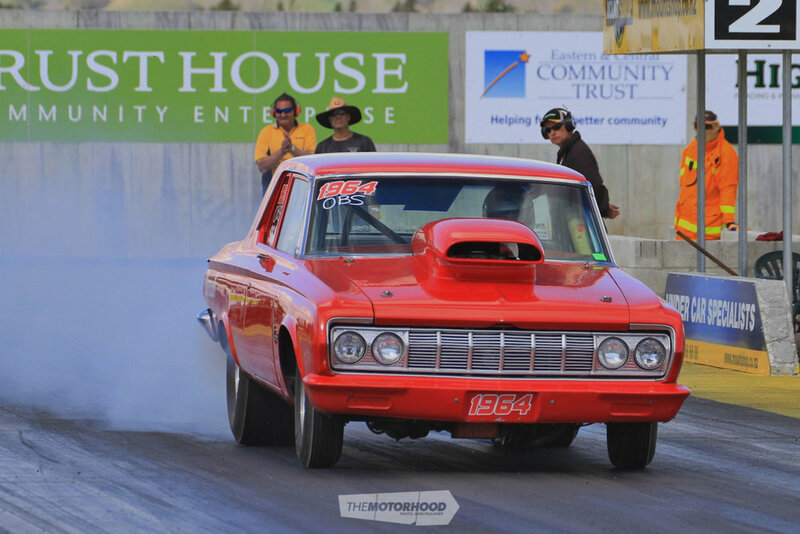 Glen Brewer, in his mountain-motor-powered Holden ute, would have been my pick for longest burnout — but why not, since it was the last meeting of the season. He managed a PB of 9.65 at 137.26mph. 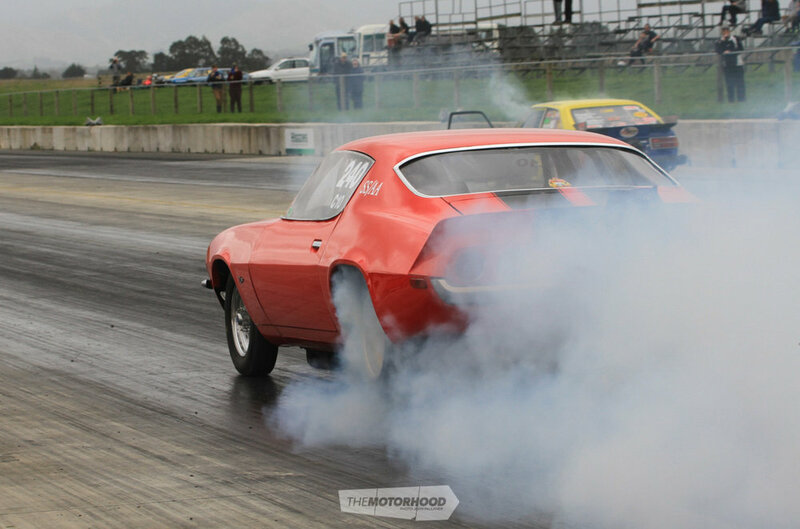 Supercharged Outlaws saw a field of six cars. Alan Hartley qualified number one with a 6.86 at 197.27mph, with wheels-up launches on every run. The airbrushing on the helmet says it all! Mark Gapp in his Willys had one scary run, just about tipping the car over when he went up on both wheels sideways. Thankfully he got away with relatively minor damage. 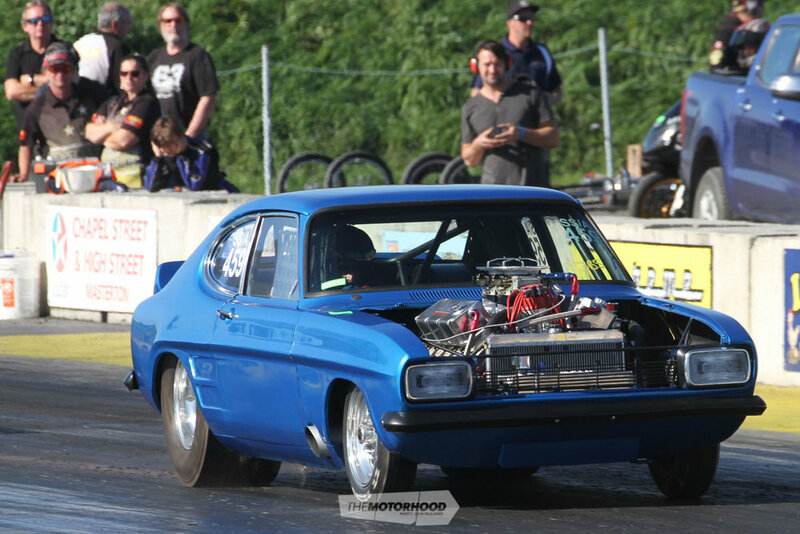 John Shepherd was third qualifier in his Hellraiser blown front engine rail, with a 7.72 at 165.63mph. He made it to the finals against Alan Hartley, where Hartley red lit, handing the win to Sheppard. 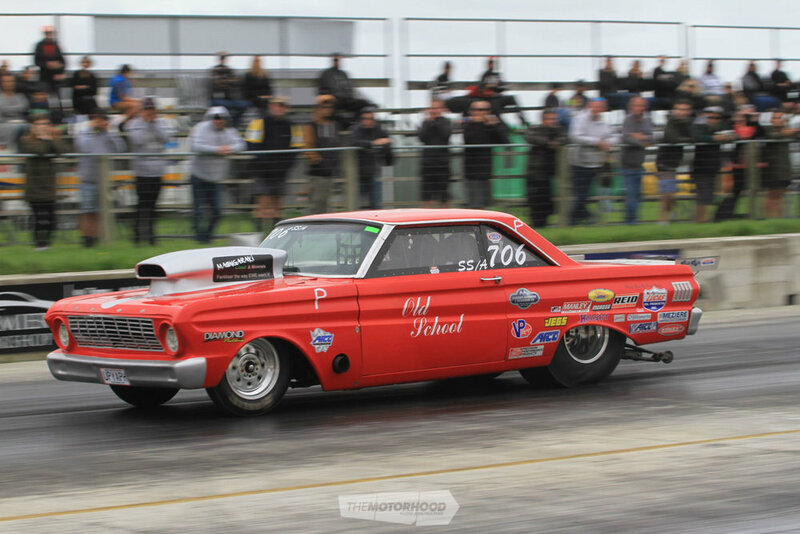 Sadly, Top Doorslammer was a bit of a non-event, with Mark Thomas being the only entrant, and struggling to get the horsepower down on the cold track. He only managed a non-representative 6.83-second jaunt. Super Sedan, on the other hand, had 25 drivers, and plenty of new PBs. 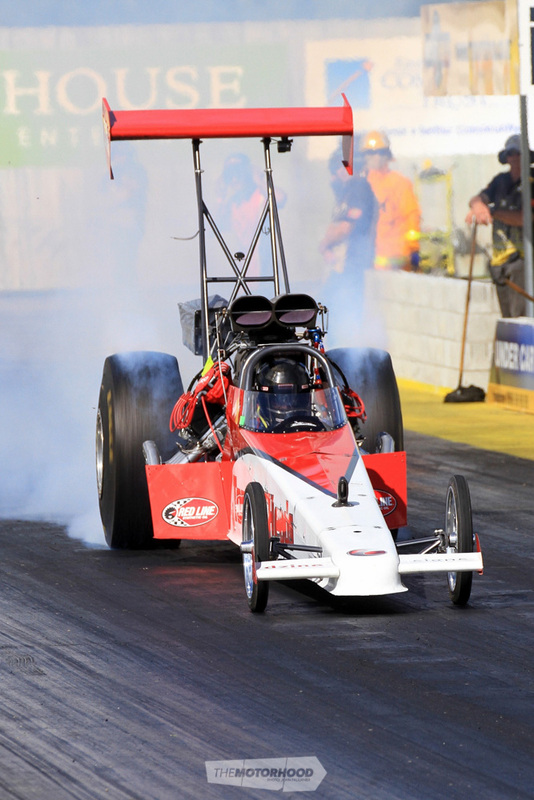 Brent Whittingham qualified number one with a PB of 8.065 at 167.68mph, so he will be on the hunt for sevens next season. 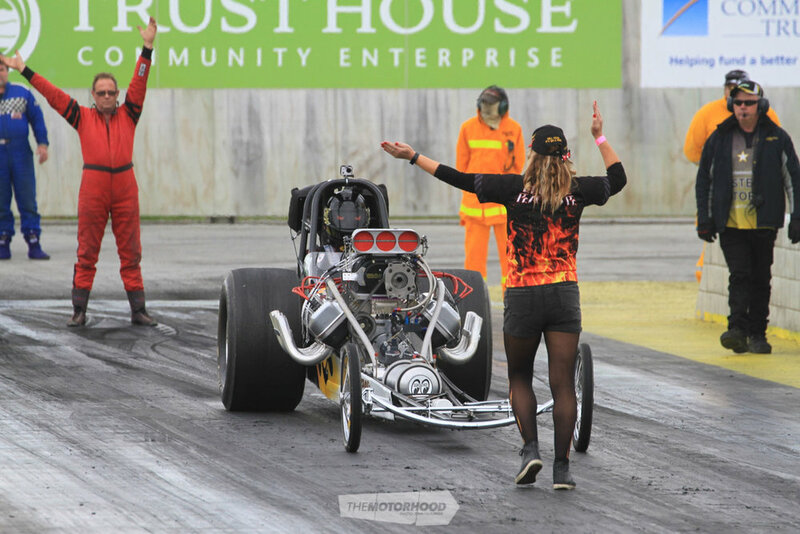 ‘Mad Cow’ Sue Gray can’t be far off running nines, clocking yet another 10.0-second pass, along with plenty of crowd-pleasing wheelstands. Speaking of wheelstands, Shane Eastham’s not afraid to get the wheels up in the air. Even the winner of the class, Rhys Harrision, was going high, too, taking the win over Steve Carlsen with a 10.03 at 126mph. Carlsen red lit at 8.2 at 162mph. 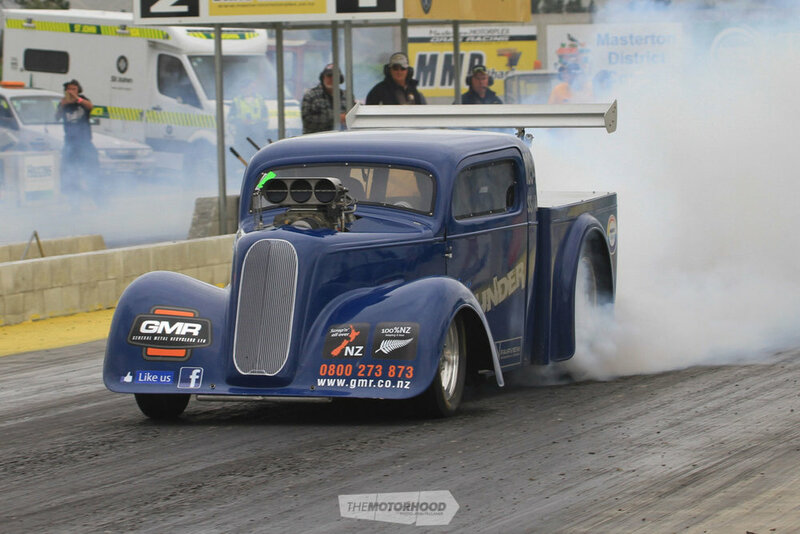 Ross Wheelan, in his street-legal ’34 Ford, became the quickest naturally aspirated street car with a new PB of 9.59 at 139.55mph. 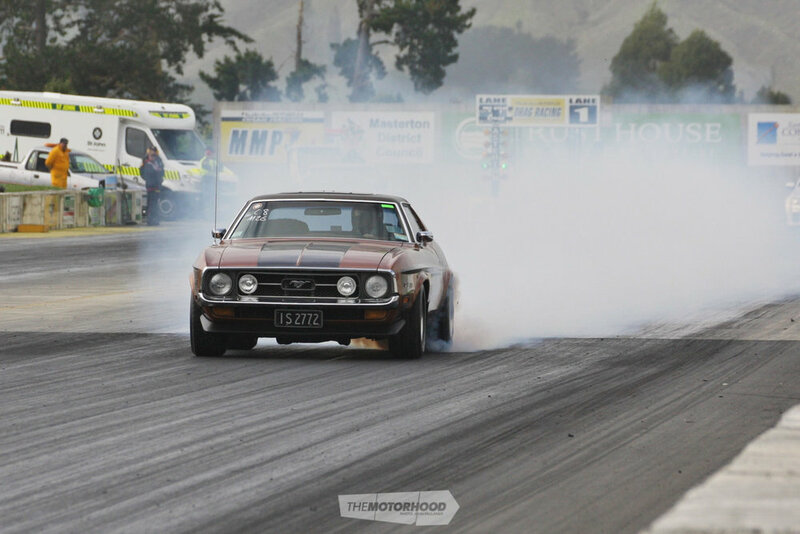 Also catching attention was Bevan Hughes from Upper Hutt in his just-completed ’69 Capri, powered by a 514ci big block Ford. The tube-chassis car was built by Gary Cawthra, and, once sorted, is set to fly. Land-speed racer Lincoln Harris from Napier made the trek down on Saturday with a high-horsepower supercharged Mustang. While not as outright fast as his salt-flat racer, this thing hauled arse and sounded great, too!